But I am a mama to a bearded dragon. Yes, like the house elf from Hogwarts. And despite his spikes, claws, and scales— he is very cuddly. He's growing like a champ. Just a little baby! His body was so thin and he had hardly any beard. 3 weeks later. Getting bigger! Notice how small he is in my hand. And yes... that's a chihuahua named Mister Oso who is very curious about Mister Dobby! His beard is beginning to form! Sitting like a proper boy at his perch. The beard is coming in! 2 months after I got him. Look how much bigger he is in my hand! And that is my son, Dobby. a.k.a. 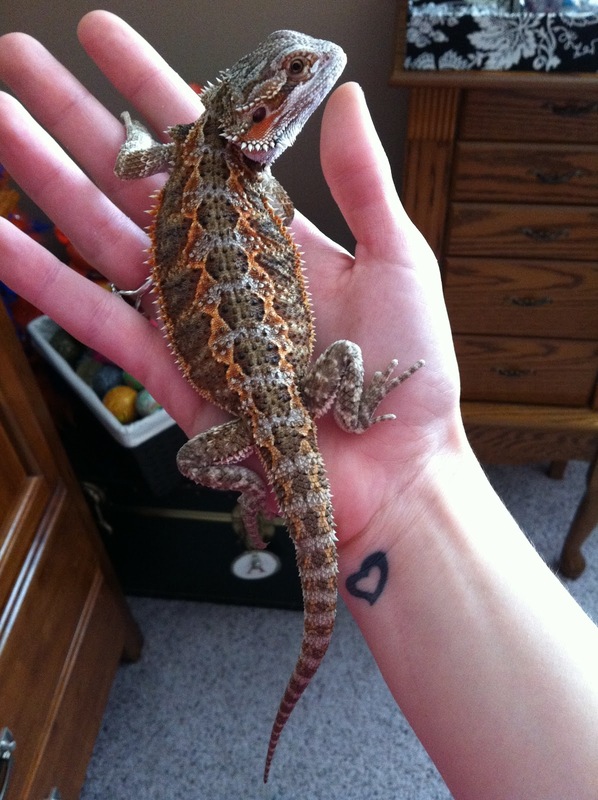 the best lizard EVERRR. I feel like this is such a fitting pet for you! I love the one of him perched. Too funny! He has such pretty coloring, I haven't seen one as handsome as him.. 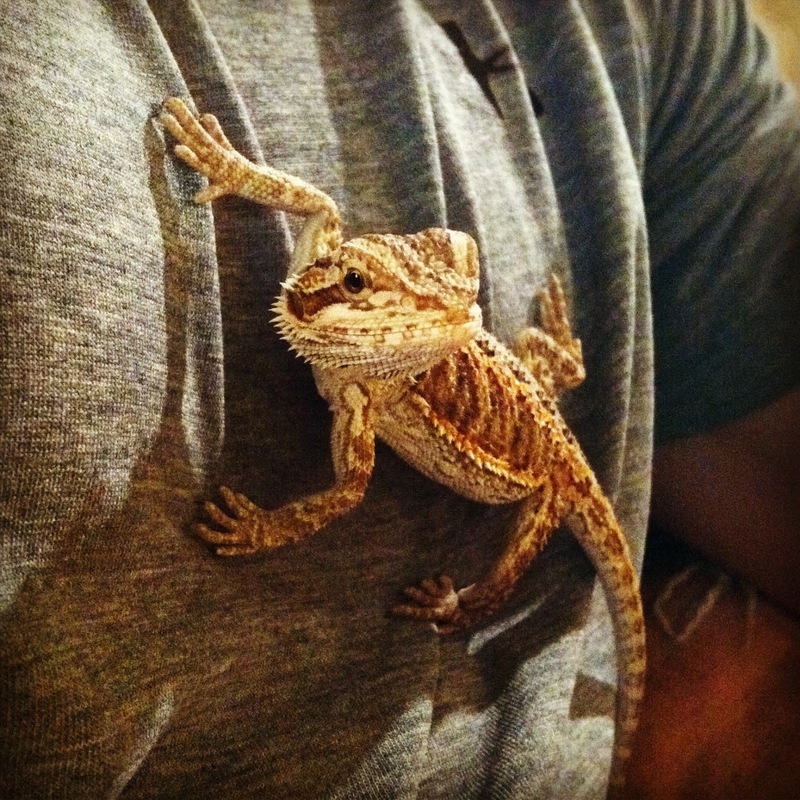 I LOVE bearded dragons. 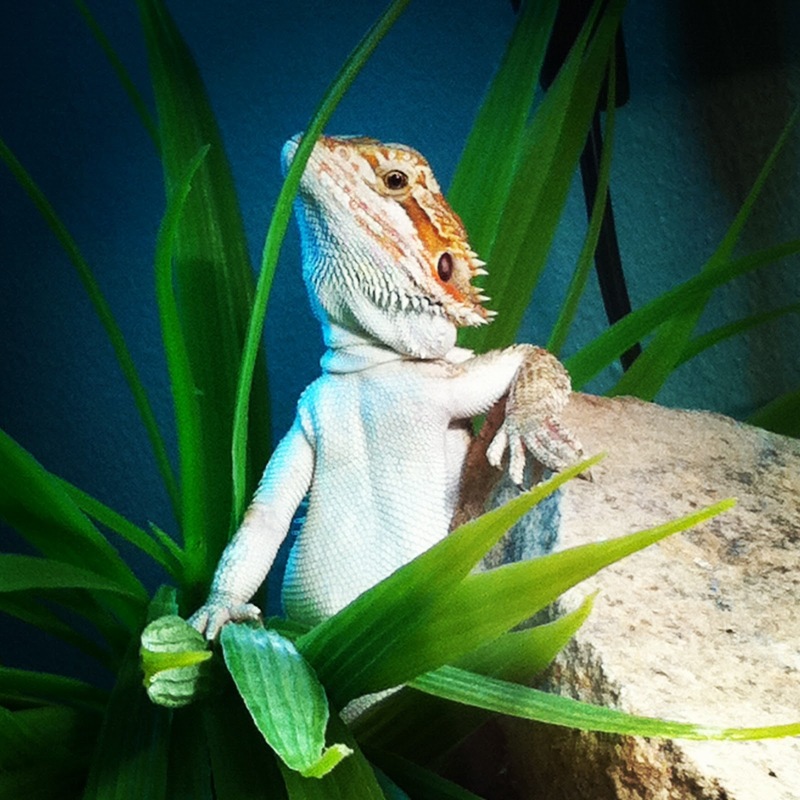 I always have had iguanas, but my next reptile choice has always been a bearded dragon! wow!! he's huge!!!! his tail is sooo long! Well isn't he just the cutest little thing ever! Glad to see that he's growing big and healthy - I know from experience how difficult it can be at times to care for lizards. Anyway, he's adorable! And I love the name you gave him! I love lizards, and yours is quite cute. 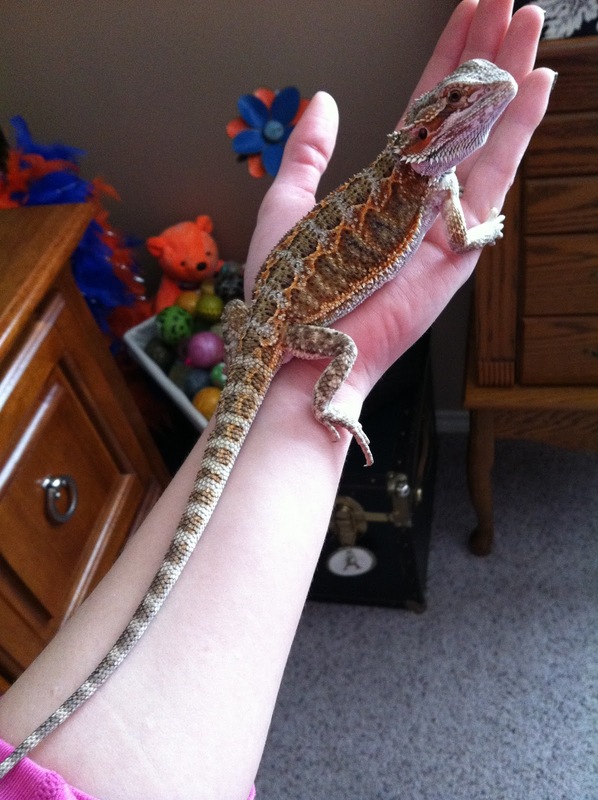 I'm hoping to get a bearded dragon for myself later this year. Goodness he has grown sooo much! He is just the cutest little Lizard, and you are most definitely the bestest lizard mommy! I'm not going to lie. 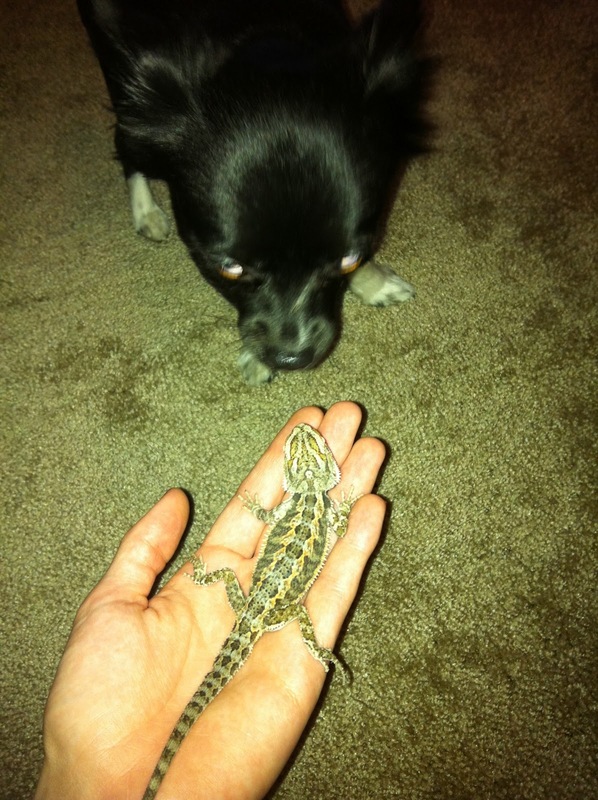 I kind of scared of reptiles, but... his name is Dobby, so how could I NOT like him?! Wow how awesome! 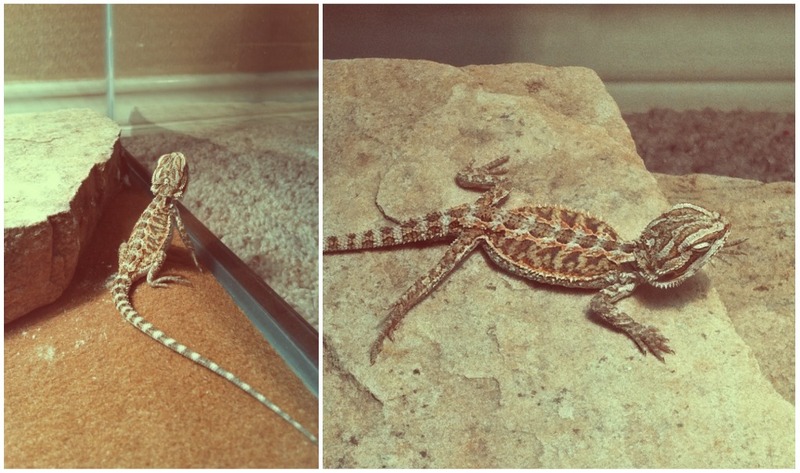 I never thought to own a lizard before--my mom hates things like them and refuses to allow me to own any. I have all the fuzzy things instead...and fish... Maybe one day there will be a lizard too! But I doubt I could come up with a cooler name haha! How big is he now??? be based for the average monthly charge card sales that your organization processes.